Note: many pilot assemblies look different but all function in the same way. When heated, this sensor automatically creates a small amount of voltage (20-30 milivolts which is 1/500 of a volt). This small amount of electricity is sent to the main control valve (the same control valve that you use to light your pilot) and is just enough power to signal the valve to keep releasing gas to the pilot. This is why you keep the pilot knob held in when you first light the pilot but after 30 seconds or so, the pilot stays lit on its own. Your pilot assembly may or may not have this. One way to tell this is that If your fireplace normally turns on from a wall switch or remote control, you will have a thermopile sensor. 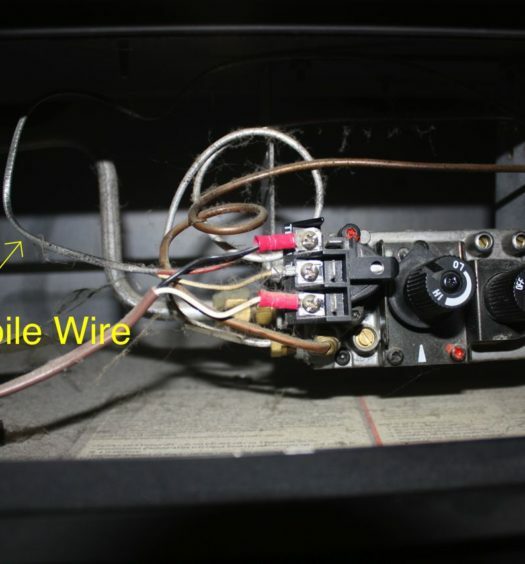 If you turn your fireplace on by reaching into the fireplace and turning a knob, you may not. 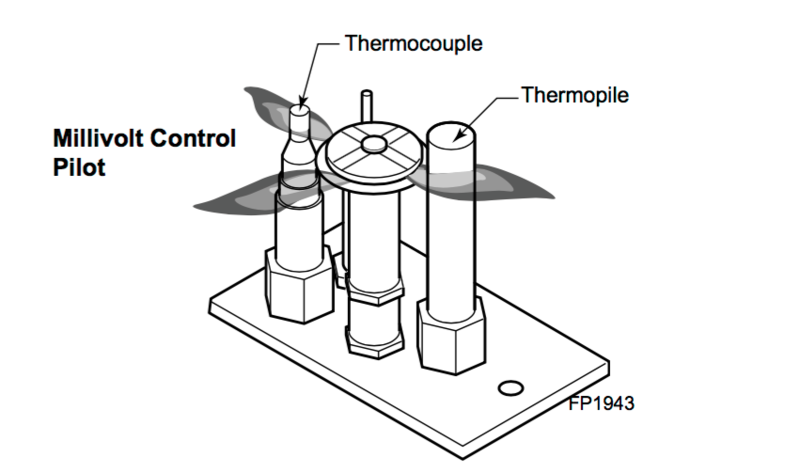 Basically, the thermopile sensor is the same as the thermocouple sensor, except its larger. And because it is larger, it creates a larger amount of electricity ( about 300-500 milivolts or 1/2 of a volt). Most of the time, this sensor only controls the main burner flame. 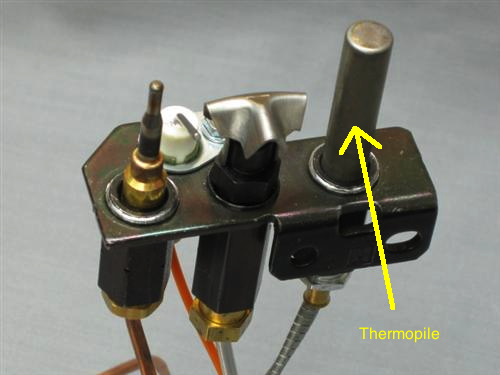 But if you do not have a thermocouple, this will control the pilot flame as well. I would recommend replacing the pilot assembly rather than cleaning it. Once the metal in the hood and orifice deteriorate, you can clean it with a wire brush, but it will get dirty again rather quickly. Cleaning it would be a temporary fix. Replacing it is more permanent. Superior is owned by Lennox Hearth Products. I would go to their website and locate a dealer near you. You can purchase a new pilot assembly from them. My pilot light would not stay light so my husband clipped the I think it’s called the pilot tube thinking he was clipping the thermocouple, the other metal tube (not the thermopile). 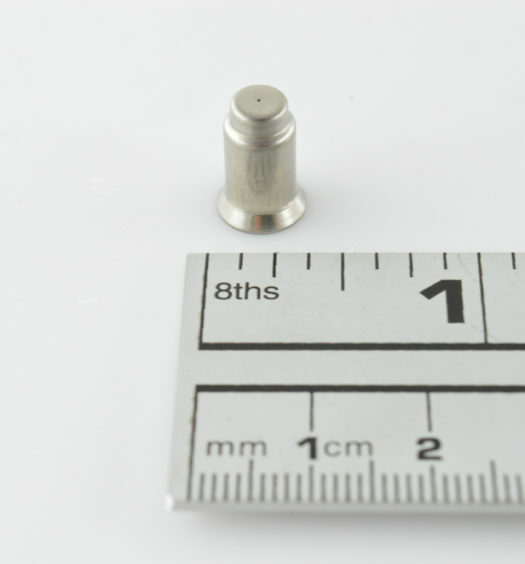 Do you know where I could find this part? It would depend on what type (brand) of control valve you have. Each one has a different style fitting that will screw onto the pilot assembly. Since you have to change it anyway, I would take it out and bring it in to a local fireplace shop or HVAC company and they should be able to match it. Pilot tubes are usually around $8-$10. You can use the “Find Certified Technicians” section on the top of the page to find one near you. I can see the blue light is lit in my fireplace but when I flip the wall switch, it doesn’t turn on. For some reason, the glass is cloudy–any idea what the problem might be? Start with diagnosing your wall switch. You most likely have a hole or crack in your pilot tube. This part would need to be replaced.